My name is Réal Laplaine. I pen high-concept thrillers. 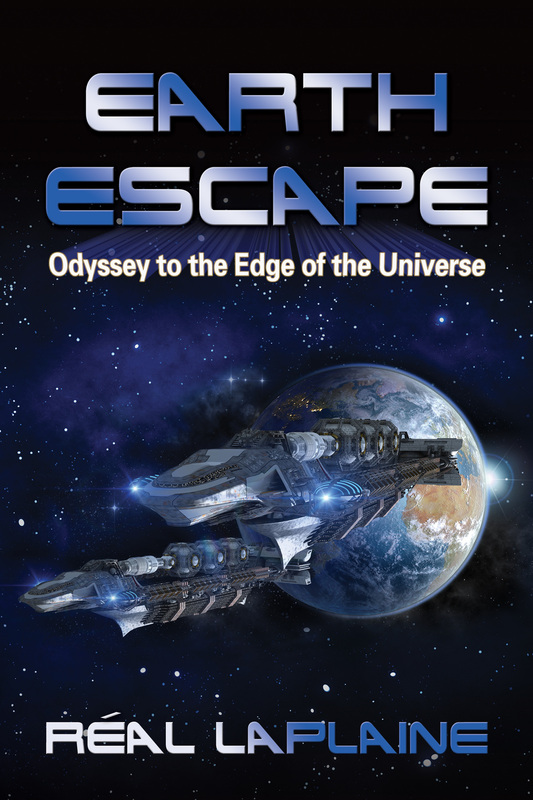 Some of my books are pure crime thrillers, some have an existential weave to them, while others have a thread of "science fiction", but as we all know, "sci-fi" is just a blueprint for tomorrow's reality. 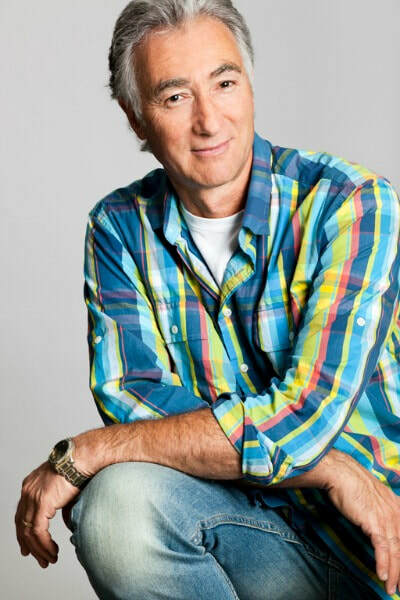 Studies show that 1 in 5 people have out-of-body experiences, but in the case of Troy Evans, when he mistakenly trips upon a secret meeting, where high government officials and their corporate beneficiaries are planning an attack that will make 9/11 look like a walk in the park, Troy becomes the most wanted man in America as he desperately tries to expose them before the zero-hour. 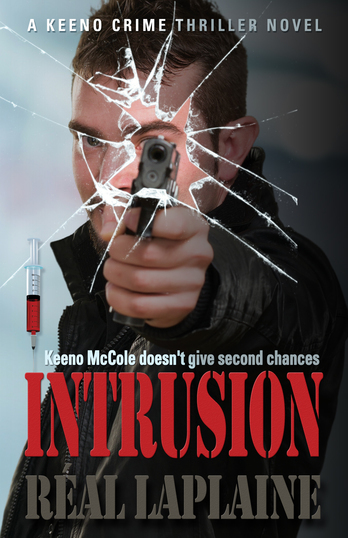 Quantum Assault Human traffickers get in the cross-hairs of Keeno McCole's gun In this second novel in the Keeno Crime Thrillers, a corporation buys a thousand young girls from the human trafficking pipeline and injects them with an experimental nanotech-virus, one designed to change their physical anatomy. The experiment goes terrible wrong and now threatens the world population as the nano-virus runs rampant and indiscriminately kills countless thousands of women in its path. Keeno and team must race across the globe in pursuit of the man who holds the key and to stop the epidemic before it becomes a full-blown world-wide pandemic. An eleven-year-old boy, living in a troubled home in Buffalo, New York, finds solace from the violence around him by listening to ABBA songs and watching their music videos. Inspired by the band, he decides he wants to follow a music career, but first he wants to see ABBA perform live again. The only problem is that the Swedish pop band hasn't performed together for over thirty years, and no one, the band included, seems to think it will ever happen. The young boy makes a plan and runs away from home, making his way to Sweden in search of Agnetha Faltskog, the famous blond of ABBA. With police in America and Sweden searching for him, the young Morie overcomes impossible odds as he touches the hearts of everyone he meets, none of whom believe he can ever possibly achieve his vision. Whether you are a fan of ABBA or not, the story will inspire you and remind you that no dream is too big. 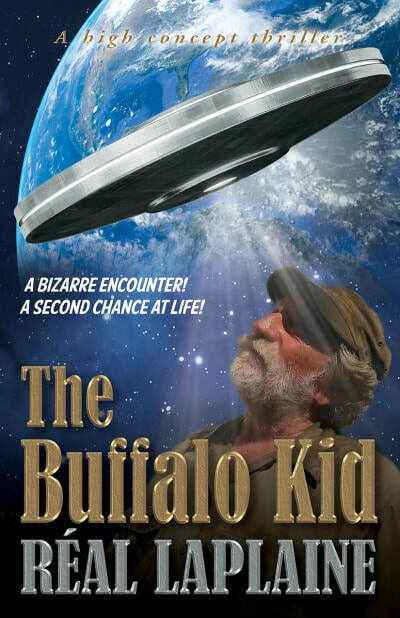 The Buffalo Kid - A Bizarre Encounter! A Second Chance at Life! 71 year-old John Ross, aka the Buffalo Kid, the oldest homeless destitute in his city, is walking the streets one cold and blustery night. His stomach is growling at him as he hasn't eaten in over a day. He sees a man approaching and asks for a handout. The stranger puts a $50 bill in his hand and walks away. Intrigued by his generosity, the Kid follows him and discovers that the stranger is actually an off-worlder, an alien, who has come to Earth to test mankind. The Buffalo Kid is suddenly cast in a collaborative role with the visitor, a thrill-ride, one that challenges him like never before, and one which inspires an entire nation. The idea of selling children into prostitution is an unconscionable and heinous crime in most areas of the world, but eight-year-old Hann’sha finds out one day that in her world a few bucks has more value than her freedom when she is sold to traffickers and she begins a life of forced prostitution. Four years later, still living in sexual servitude, the twelve-year-old stands facing a man, supposedly another customer – but instead of engaging her, he decides to help her escape. The story which ensues is a thriller as he goes up against the sordid world of human trafficking and a corrupt law enforcement system which turns a blind eye. It is a story based on actual facts and not fiction, the reality of how life really is for countless hundreds of thousands of young girls and women, like Hann’sha, who have been traded in for a handful of cash as modern day slaves. SEE ME NOT pulls back the curtain on one of the largest violations of human rights in our world today. Hann'sha's story will shock you and it will also inspire you. 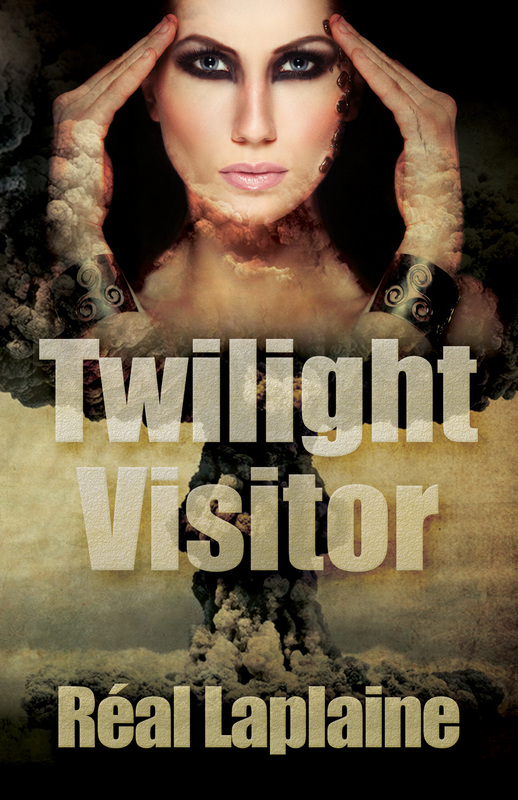 Twilight Visitor depicts two stories, which ultimately converge as one, covering a period of just twenty-four hours as a global crisis reaches a boiling point after an energy-desperate China invades Iran for their oil, and Iran, backed against the wall, fires a nuclear warhead at Beijing. As the world watches in shock, and world leaders seem helpless in preventing the inevitable disaster, on the opposite side of the planet, the reader is plunged into the world of one man, a bioengineer, sitting on a deserted beach in Portugal, trying to resolve his dysfunctional life; and the enigmatic woman he meets who reveals to him that he alone holds the answer to stopping the impending nuclear war. The story captures the oppositional dynamics between nations, leaders and right down to the internal conflict which this one lonely and desperate man must face as the ghosts of his own past compel him to run away. Reader Views says ... "Readers will be on a rollercoaster from the beginning and will remain glued to the pages until the end of this amazing story, which promises a possibility of a sequel." In the dead of night, while Los Angeles sleeps, a solar flare sparks outward from the sun and streaks toward the earth. As the solar phenomenon sweeps over the city it creates a rift in the quantum time-stream, leaving a bizarre trail of events in its wake. An elderly woman steps into her kitchen and is shocked to find her cat, which had died years before, now staring at her. A man enters his garage only to find a piece of his favorite car which was junked some thirty years before. And in the Westwood Memorial Park Cemetery, the most bizarre event of all unwinds, as a crypt suddenly shakes and rattles and pops open - and from it emerges a blond, wearing the very lime-green Pucci dress she had been buried in. 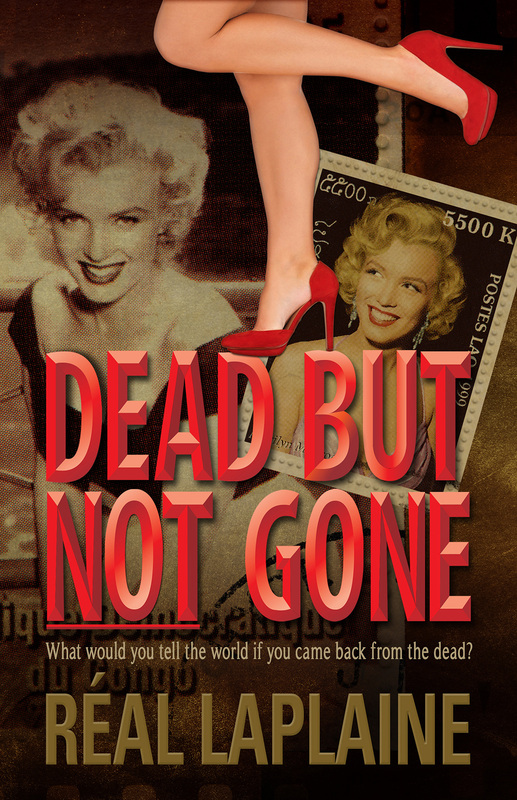 Just as beautiful as the very day she had died in 1962, Marilyn emerges from her grave. Stunned and confused, she soon comes to realize that by some force of nature she is alive and the story which unravels as she pursues her new life, and the truth which she reveals about her death, becomes a thriller to the end. In 2038, geopolitical powers are on the verge of war as nuclear weapons threaten our very existence and global consumption is depleting the Earth. Several nations band together to launch a daring mission to colonize the first habitable exoplanet, but no one bothered to ask the obvious question: "Is there someone else there already?" 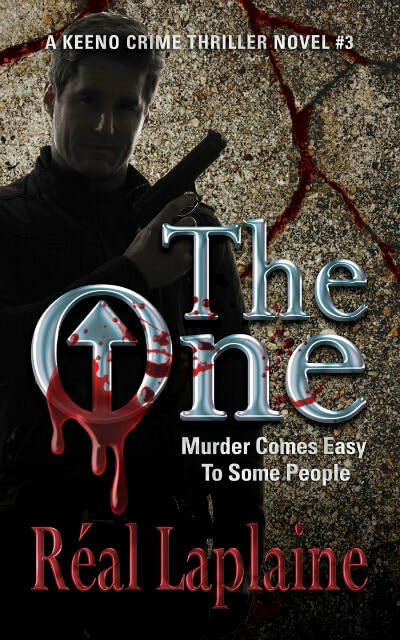 One man is about to find out the truth and what he discovers will change the course of humanity and its role in the Universe. The 3rd novel in the Keeno Crime Thrillers. When the body of a young woman shows up in the Soo Locks, it is soon discovered that she is the niece of the Prime Minister of Canada. Keeno McCole and Jake Williams, the RCMP's Anti-Terrorism crime-fighters, are dispatched to Winnipeg to investigate a suspected cult when they are suddenly faced with a hostage crisis and attack on the nation's largest news network. The case soon becomes much more than what it appeared to be. 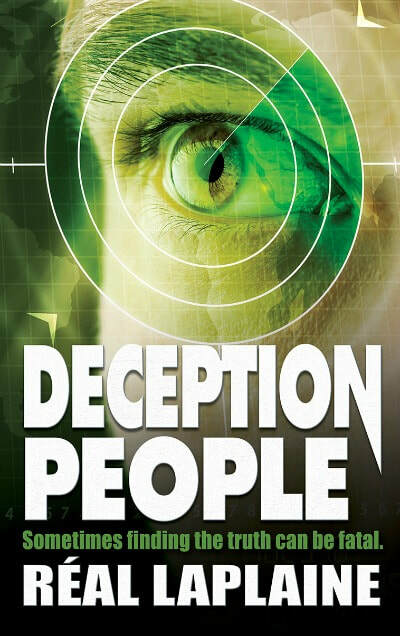 Up against a brilliant sociopath, the investigation goes terribly wrong and Keeno and his team find themselves under attack in ways they would never have thought possible. A twisted thriller to the last page. It's a woman's world now!